Herding bison on horseback! See how it's done on Antelope Island. I rode with Ron Brown of R and G Horse and Wagon just outside of Salt Lake City on Antelope Island on the Great Salt Lake. Antelope Island is the largest island in the Great Salt Lake. It is also a state park, where bison, antelope and other wildlife roam. 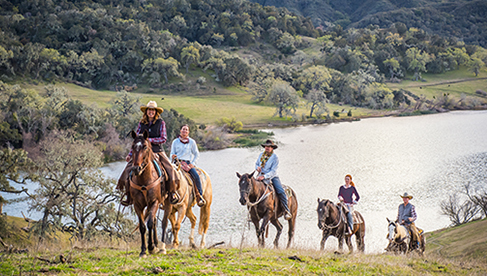 This island is a great one to explore on horseback, as not only are Ron’s horses wonderful, but there is a lot of room to ride and abundant wildlife to take in on horseback. The Quarter Horse Thoroughbred cross that I rode, Sawdust, had been in various movies and was super well trained, necessary when rounding up bison. The free roaming bison on the island look ancient, but are fast moving. You have to be careful when working them, so that you and your horse don’t get charged. My horse was definitely charged up, as the herd scattered in various directions and we cantered and then galloped after them. It was super exciting and fun. After expending some energy with the bison, Ron told me about the original settlers on this island, who were commissioned by Mormon leader Brigham Young to tend to horses, cattle and sheep on the island. The livestock were used to entice settlers to move to the area. When newcomers would arrive, they might be given a horse or cow as a sort of incentive for moving to Utah. The original ranchers on the island had a hard life. We passed by various buffalo chips, which Ron said the ranches would use as little stoves. They would heat them up and use them to cook, as there were no trees on the island to make a fire. Life must have been hard for those people on Fielding Garr Ranch! Some of the original buildings still stand on the property, where Ron runs his business. We rode to a high point, where you could see the snow covered Rockies in the distance as the sun started to go down. The small city of Salt Lake shone in the distance, and I was finally tired from my week exploring Utah and galloping around with Ron. 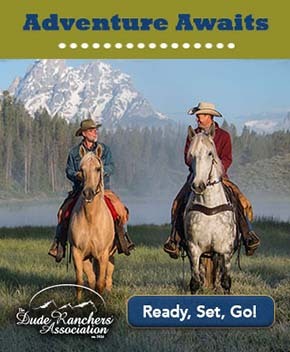 How you can go: Learn about horseback riding on Antelope Island with R & G Horse and Wagon, which offers exclusive horseback trail rides on historic Antelope Island. Learn about the Annual Bison Roundup, normally held in October.